These rooms include two Queen beds with plush bedding and plenty of pillows. Lounge after a long day and enjoy the 37-inch HD flat-screen TV with cable connecting you to your favorite channels. A mini fridge offers a spot to store snacks and drinks during your stay. 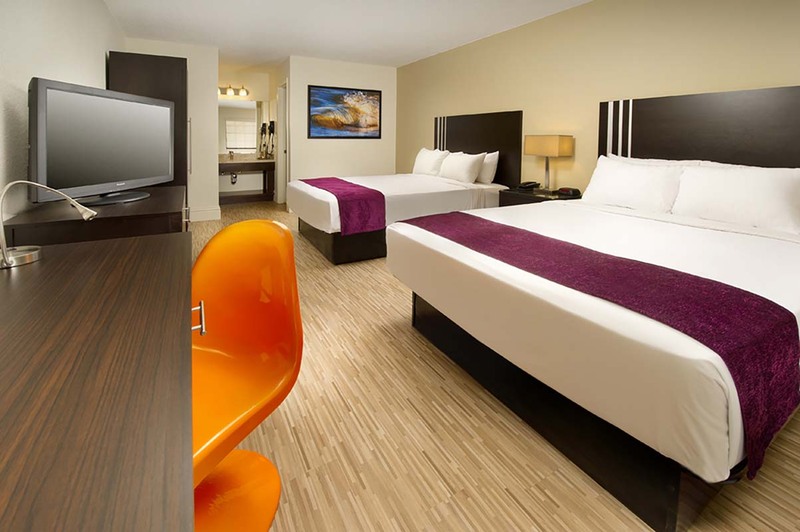 Convenient access to parking and Wi-Fi access make this room an easy choice. 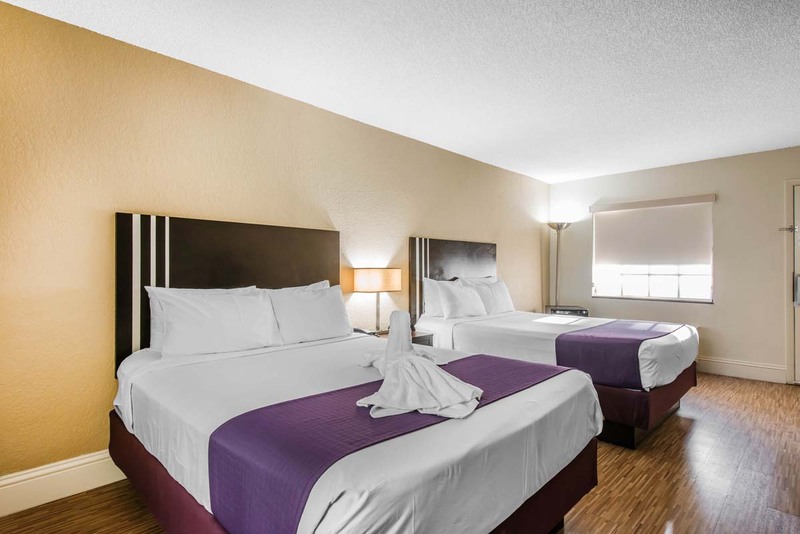 Sleep comfortably in your Deluxe King Room, which includes a plush king bed, spacious work desk, and 37-inch flat-screen TV. Take advantage of High-speed Wi-Fi access and an SD slot on the TV to view vacation pictures and keep you connected during your stay. Use refrigerator and microwave to keep your leftovers fresh for the next day. This room has easy access to the on-site parking. Book this suite and wake up to a pool view each day! Superior Double Queen Rooms are equipped with plenty of amenities to keep you comfortable during your stay. These rooms include two plush Queen beds, daily refresh service, in-room coffeemaker, and refrigerator. Bathrooms are stocked with the supplies you need. Pool views and prime Orlando location. Perfect option for a weekend away or week long retreat. Did you request pool views? Book this suite and your wishes are granted! Enjoy a contemporary room and rest easy in a plush king size bed. 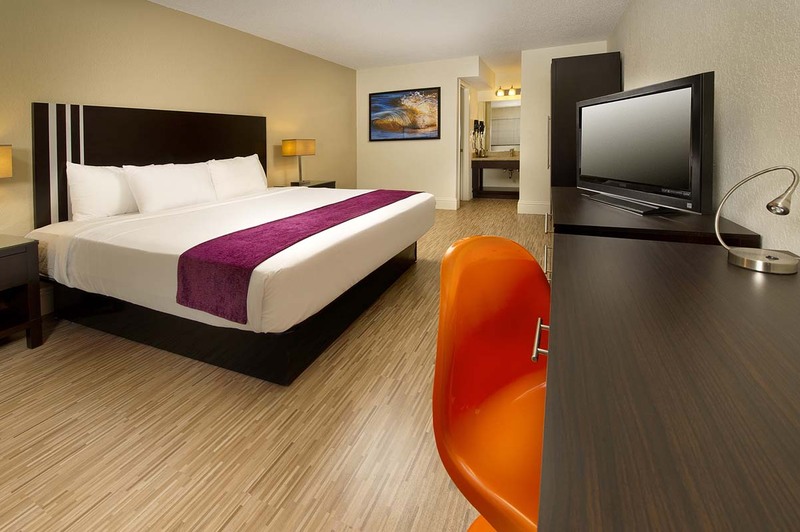 In addition to the comfortable bed, this room includes a convenient, well-lit work zone. A coffeemaker and refrigerator make you feel right at home during your stay. This is where your vacation begins. 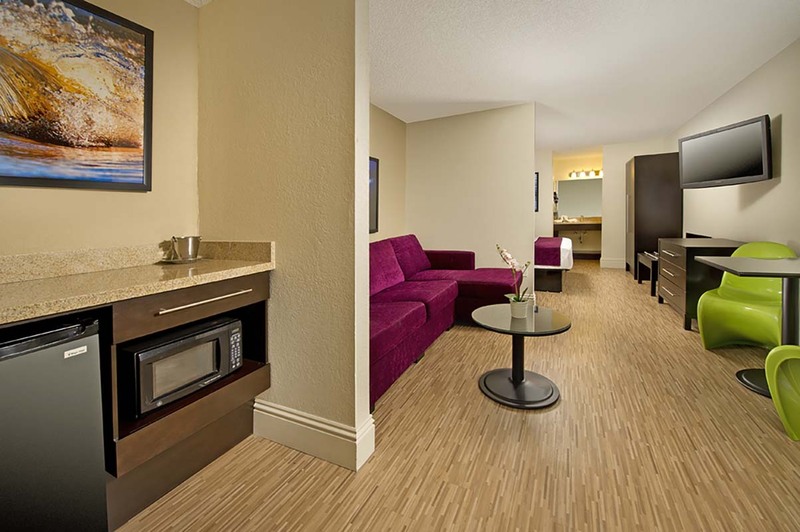 Premium Executive King Suites give you space to spread out during your stay. These rooms feature a cozy separate sleeping area with king size bed. The living area includes a sectional sofa with chaise and converts into a bed. The well-stocked bathroom, microwave, and refrigerator deliver everything you need for your trip to Orlando. These rooms are limited and popular. Vacation is all about relaxation, so even your room should feel luxurious. Premium King Jacuzzi Rooms include a plush King bed. 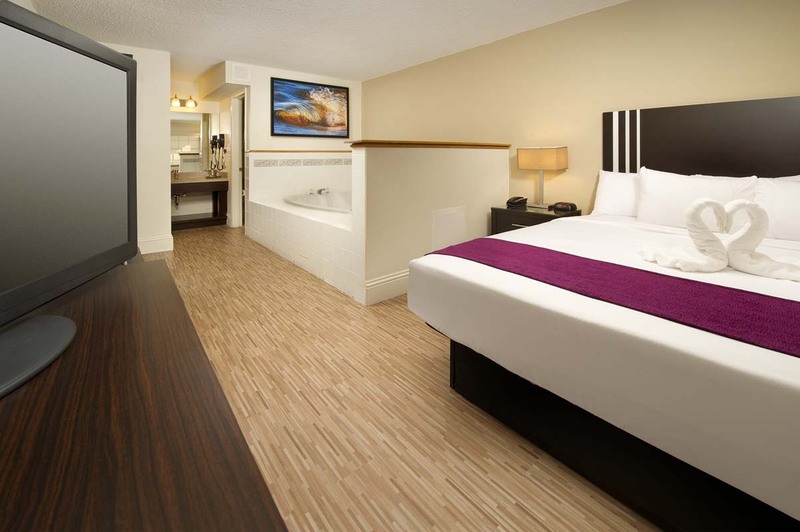 An in-room Jacuzzi with jets allows you to unwind and relax in a bubbly tub after a busy day.